Quote Reply Topic: Seated Half Dimes...Please Post !! BTW: the scratches on the obverse near the right side of the date are on the holder. 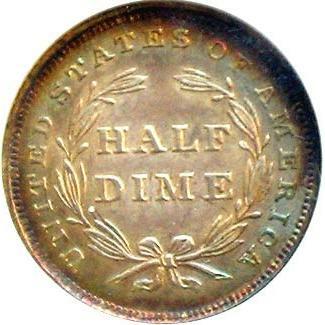 Your little Half-Dime is certainly a looker with monster toning! 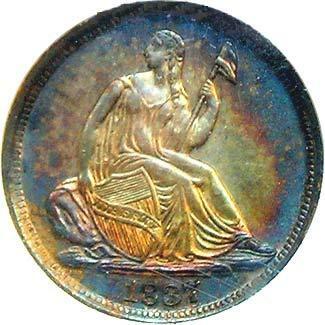 The Seated Liberty coinage is my most favorite type minted by the United States and I adore Half-Dimes due to their size. I think that they are so darling! Did you ever have it graded like you stated in your post? If so I was curious as to what the final grade ended up to be.